"A classic for kids that's perfect as a board book for reading aloud to babies and toddlers." - Seira Wilson, Amazon EditorA big happy frog, a plump purple cat, a handsome blue horse, and a soft yellow duck--all parade across the pages of this delightful book. Children will immediately respond to Eric Carle's flat, boldly colored collages. Combined with Bill Martin's singsong text, they create unforgettable images of these endearing animals. 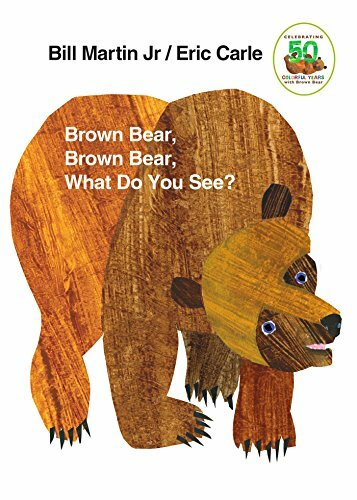 Brown Bear, Brown Bear, What Do You See?. by Bill Martin, JR. Available for the first time, this junior library brings together miniature paper-over-board editions of all four bear books: Brown Bear, Brown Bear, What Do You See?, Polar Bear, Polar Bear, What Do You Hear?, Panda Bear, Panda Bear, What Do You See?, Baby Bear, Baby Bear, What Do You See?Kids and collectors will love this tiny treatment of the classic series, with complete unabridged editions of each story. 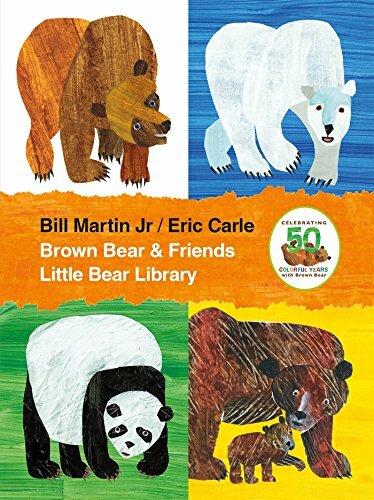 Young readers will discover the colors of the classic Brown Bear, the sounds of Polar Bear, the endangered species of Panda Bear, and the North American animals of Baby Bear, from renowned author-illustrator duo Bill Martin Jr. and Eric Carle.This title has Common Core connections. 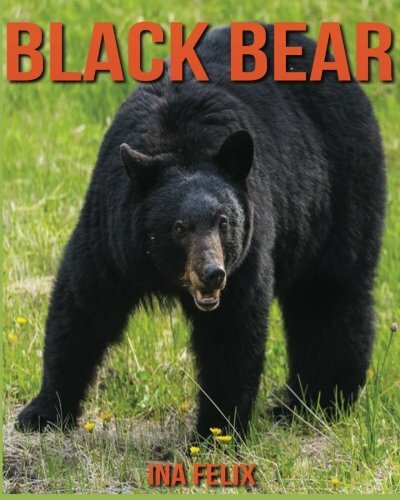 A wonderful addition to the more than 8 million Bear books already in board book format! 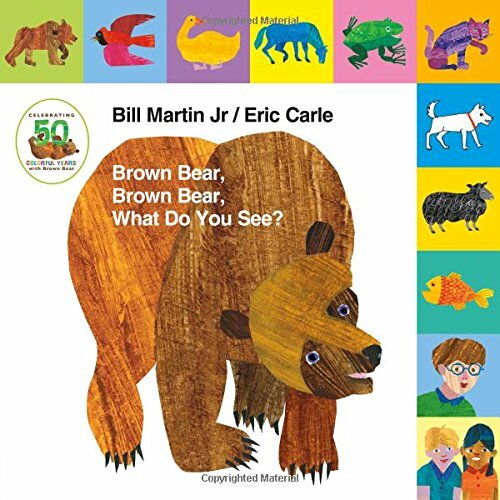 In honor of its fiftieth Anniversary, the classic Brown Bear, Brown Bear, What Do You See? is available for the first time as a lift-the-tab board book.With the complete and unabridged text and art of the classic Brown Bear story, this lift-the-tab format celebrates the fiftieth Anniversary with a brand-new look and feel. 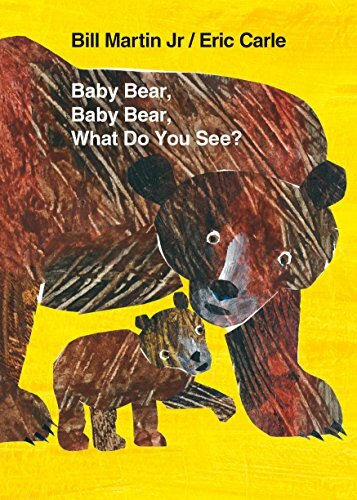 Readers will discover the classic rhythmic text featuring colorful animals, brought to life in Eric Carle's powerful collage art.This title has Common Core connections. 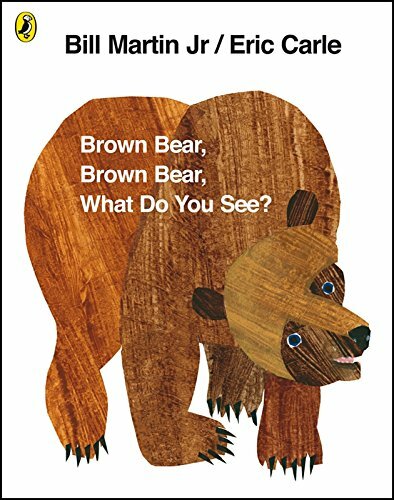 Bring Eric Carle's beloved picture book Brown Bear, Brown Bear, What Do You See? to life! Place Brown Bear and other animals in the grooved slots on top of the box, then arrange and rearrange the scene. Put the pieces back in the box for compact storage and on-the-go fun! 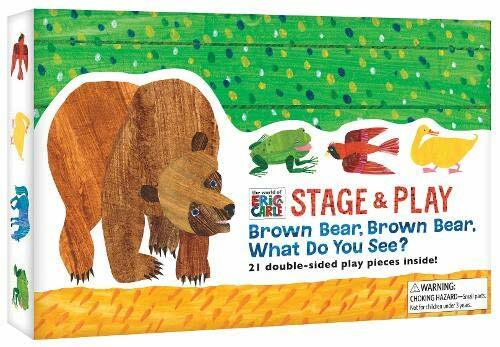 Size: 28 x 28 x 27"
Brown Bear, Brown Bear, What Do You See? 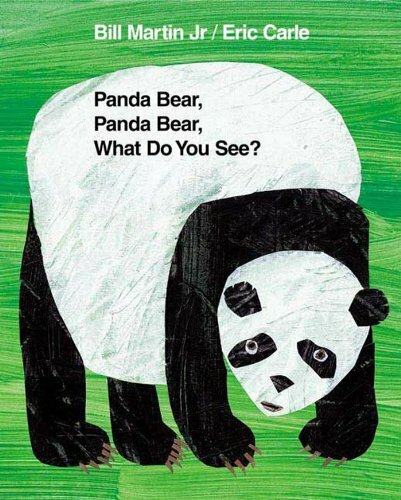 is a children's picture book published in 1967. Written and illustrated by Bill Martin, Jr. and Eric Carle, the book is designed to help toddlers associate colors and meanings to objects.